“We didn’t look for a gold medal in this match. Today was all about learning and gaining experience for our young players. 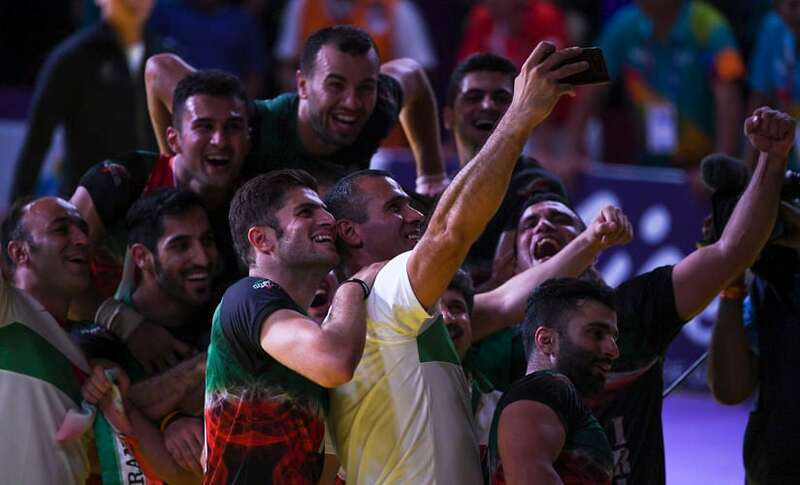 But in Jakarta, you will see a different Iran.” Coach Gholamreza Mazandarani’s words shortly after Iran’s 26-44 loss to India in the Kabaddi Masters final in June earlier this year, seemed nothing more than a rhetoric at the time. Two months on, those words have proved to be prophetic. A 26-16 win over South Korea in the final gave Iran their first ever kabaddi gold at the Asian Games after three unsuccessful attempts. The emphatic win in the final came on the back of 27-18 victory over seven-time gold-medalists India in the semi-final. The chances of Iran achieving this historic triumph looked bleak just nine months ago when they had failed to reach the final at the Asian Kabaddi Championship that they hosted in Gorgan. The hosts suffered a shock defeat at the hands of Pakistan in the semi-final and failed to live up to the home crowd’s expectations. The defeat wasn’t a one-off. Iran had problems to deal with. There was a growing rift between players and coach KC Suthar. The coach's relations with his support staff too had deteriorated. Iran’s players who are known for their high fitness levels looked uncharacteristically unfit for the challenge. Certain players that returned from the Pro Kabaddi League, were not in a good physical shape. Iran’s pride was hurt, but more importantly, the signs were ominous especially with the Asian Games on the horizon. The freshly developed problems were an unwelcome addition to the already existing hurdles that Iranian kabaddi have always had to overcome. The biggest one is on the financial front. “Our biggest problem is financial. Kabaddi is not among the top ten sports in the country. It is just outside, so we don’t get enough funds to train for long periods of time. We have the facilities, but there isn’t enough money to hold long camps. 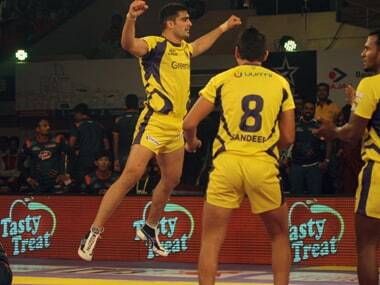 That hurts our preparation,” Mazandarani had told Firstpost in June during the Kabaddi Masters tournament in Dubai. Apart from the national camps, Iran has their own kabaddi league. It has 16 teams and over 300 players participate in it. The numbers make a good reading but kabaddi’s popularity is limited to the Sistan province in northern Iran. A large chunk of teams and players in the league are from that area. That also reflects in the national team. “Half of our players are from Gorgan. That’s where kabaddi is most popular. A few more are from surrounding areas while the remaining few are from Tehran and other parts.” Mazandarani revealed. With kabaddi’s reach restricted to certain pockets of the country, the league struggles for sponsorship, and the lack of funds dictate the competition’s fragmented format. “Due to the lack of money, our league doesn’t run continuously. We play one leg in Gorgan and then there is a gap of 15 days or a month. It keeps changing. Then we play another leg in another city and the process continues,” the Iran coach explained. 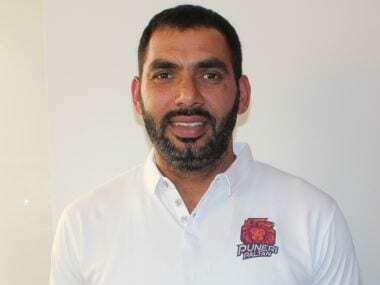 South Korea, another rising power in the sport of kabaddi doesn’t have a professional league of its own, but their federation and Olympic association have been able to invest a bit more on the development of their players. The Koreans train for 10 months a year in a residential camp in Busan. Over the past five years, Korean players have been sent to camps in India on several occasions to train under Indian coaches. With Iran failing to provide a similar kind of support, the exposure of Pro Kabaddi becomes vital for their players. “When I came to Pro Kabaddi, I didn’t understand the concept of control in kabaddi. After playing with players like Anup Kumar in U Mumba, I learnt how to control the games. I have been fortunate to play with many experienced players in the league who have helped me a lot,” Fazel Atracahli, the Iranian captain had told Firstpost in an interview last year. Pro Kabaddi’s impact on the Iranian players isn’t limited to just gaining experience and knowledge of the game, but the league is a game-changer in terms of the financial aspect too. Some of the players in the Iran team don’t have full-time jobs, some switch to competitive wrestling during off-season, and are only paid by the kabaddi federation when the players are in the national camps. 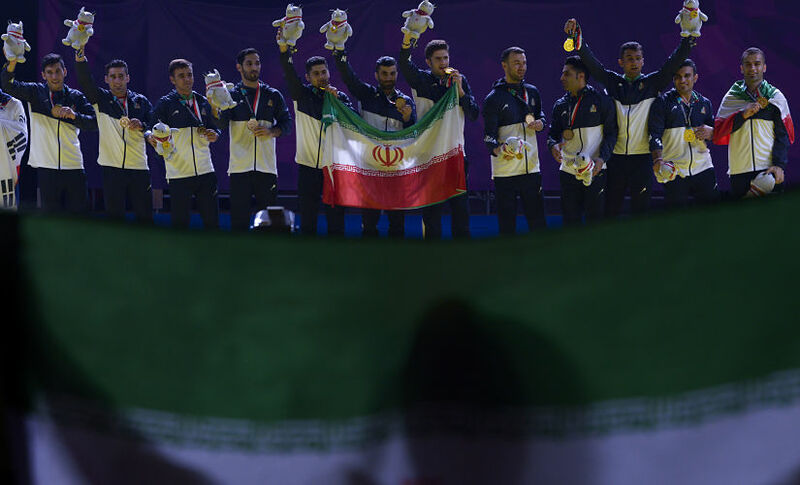 Despite all these challenges facing the team, Iran had never lost sight of their target — winning gold medal at the Asian Games. Following Mazandarani’s elevation to national coach after the Asian Championship, Iran put their heads down and began the work towards achieving their long-held dream. Iran blooded in few young faces at the Kabaddi Masters in Dubai and forged a new team with a perfect balance of experience and youth. It is hard to believe but Iran had more players with Asian Games experience than India who had just Ajay Thakur who had previously played the Games. This was despite the Iranians dropping captain Meraj Sheykh from the squad. But that wasn’t the only factor behind their success. Their pre-Asian Games training involved facing high-quality opponents. The Iranians made the trip to Jaipur to train with players from the Rajasthan state side that had done well to reach the quarter-finals at the senior nationals in India last year. Training against some top raiders like Sachin Tanwar was as good a preparation Iran could have got. Iran didn’t leave it there. The possibility of a titular clash with India meant going all out with the preparations. “We had a certain gameplan for India. During our training sessions back home, we closely monitored the players from India and Pakistan. We followed these two teams religiously and then chalked out our strategy,” Mazandarani said after the win over India. At Jakarta, every bit that Iran worked on since that debacle in the Asian Championship paid off. The incredible turnaround was complete. Iran won two medals in kabaddi at Incheon in 2014. That did little to change the fate of the sport back home. Iran have won two medals in kabaddi again at Jakarta, but the change of colour is significant. That change has altered the perspective of the kabaddi world towards Iran. Now they’ll hope that their countrymen follow suit.